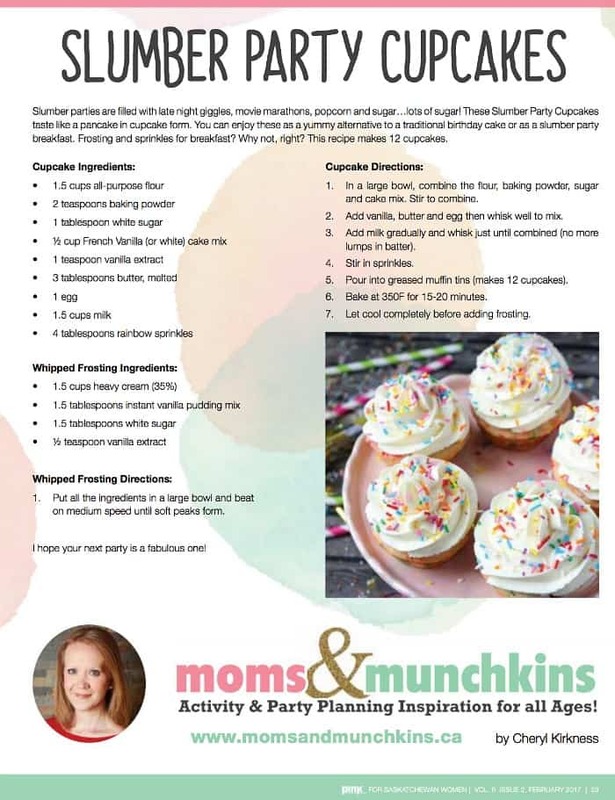 I’m excited to share my latest party article in Pink Magazine with you – Slumber Party Cupcakes! I’ll let you in on a little secret – this recipe started off as Funfetti Pancakes but I kept burning them so I gave up and thought of a new idea. Same batter but a completely different result and they are delicious! 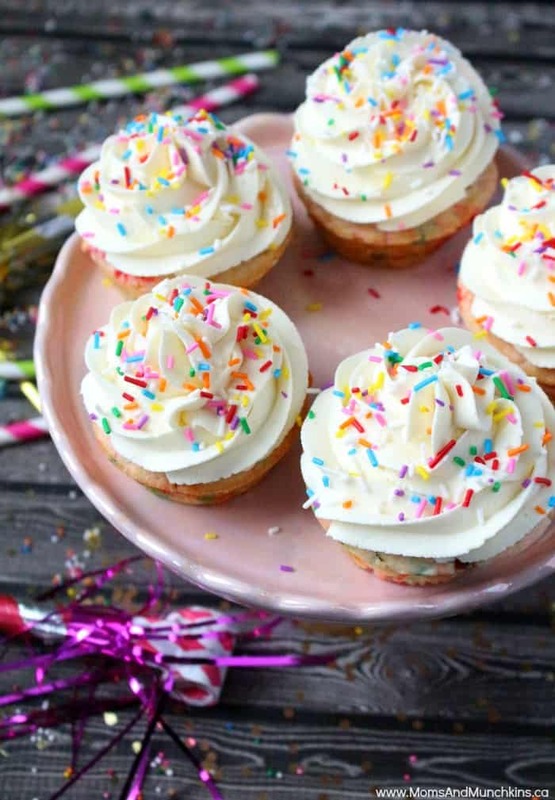 It’s a cupcake that tastes like a pancake then topped with a yummy whipped frosting. Slumber parties are known for lots of sugar, right? Yes! 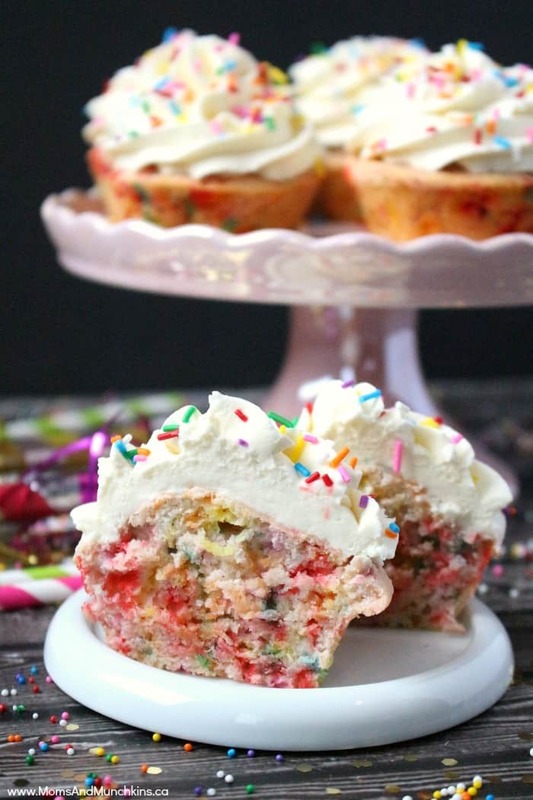 So don’t feel guilty if you serve these delicious cupcakes for breakfast! These would be great for a midnight snack, dessert or breakfast. Sprinkles belong to one of the food groups, right? I’ll look it up on Google later. *drooling* Just look at all those delicious sprinkles! 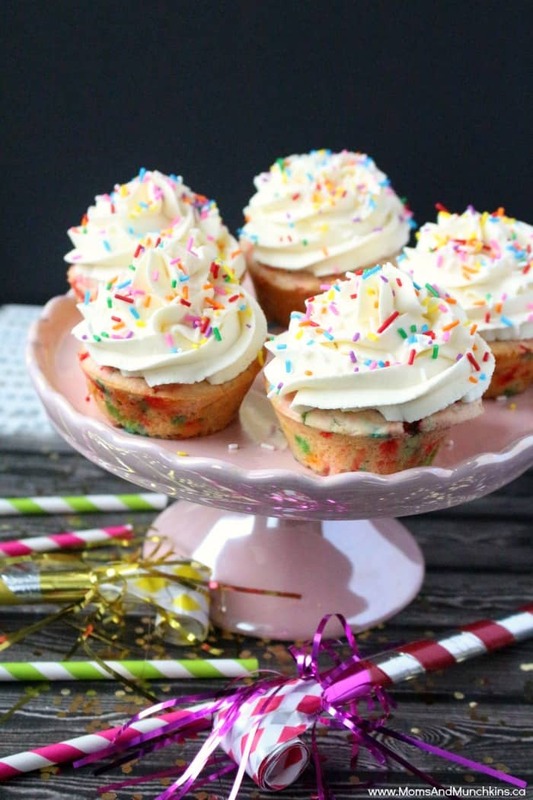 These cupcakes are so yummy and the bright colors make them perfect for a party. In a large bowl, combine the flour, baking powder, sugar and cake mix. Stir to combine. Add vanilla, butter and egg then whisk well to mix. Add milk gradually and whisk just until combined (no more lumps in batter). Pour into greased muffin tins (makes 12 cupcakes). Put all the ingredients in a large bowl and beat on medium speed until soft peaks form. Planning a slumber party? Check out our Slumber Party posts including printables, recipes, slumber party activity ideas and more! 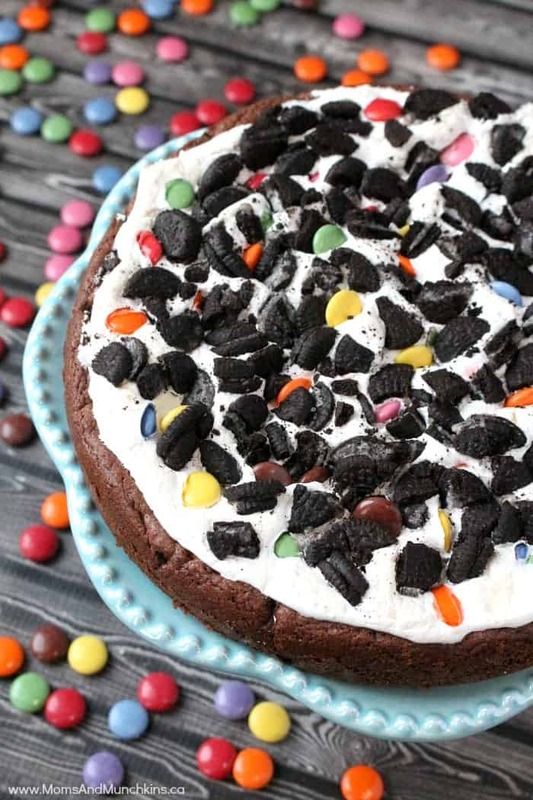 Marshmallow Cookie Cake – a delicious alternative to a traditional birthday cake. 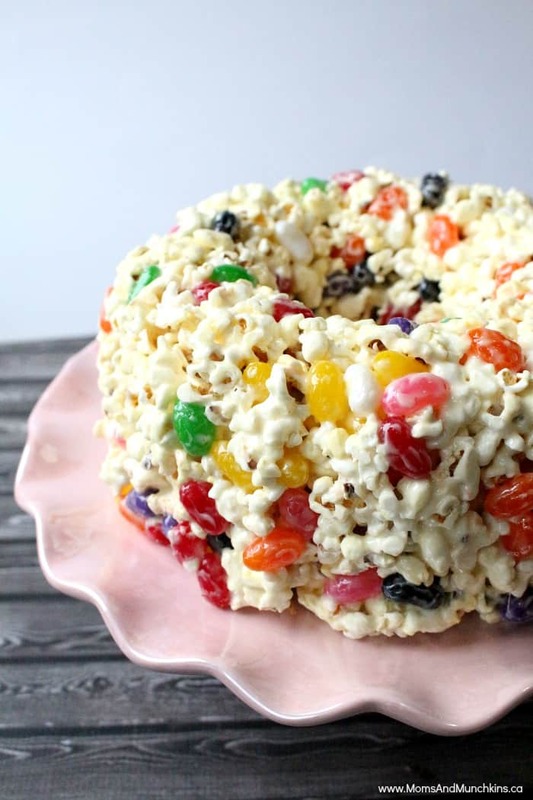 Popcorn Cake – a sweet treat idea for a slumber party movie marathon. 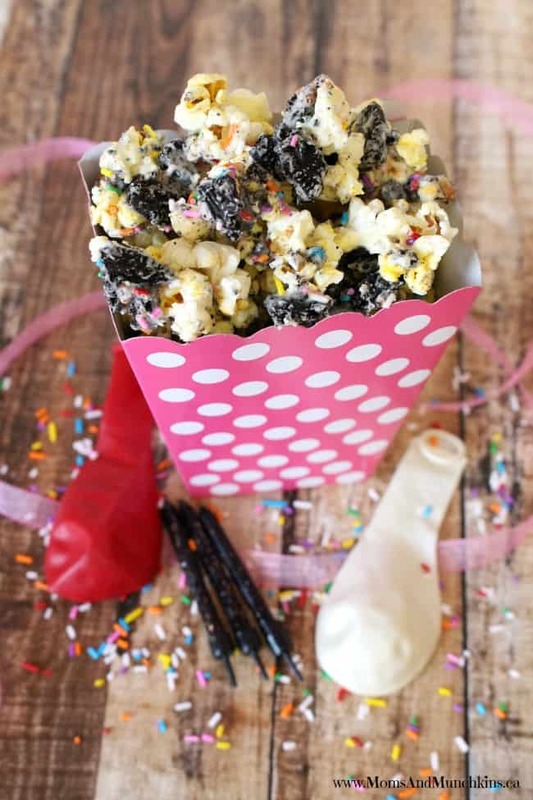 Birthday Party Popcorn – another delicious treat idea for a movie marathon. 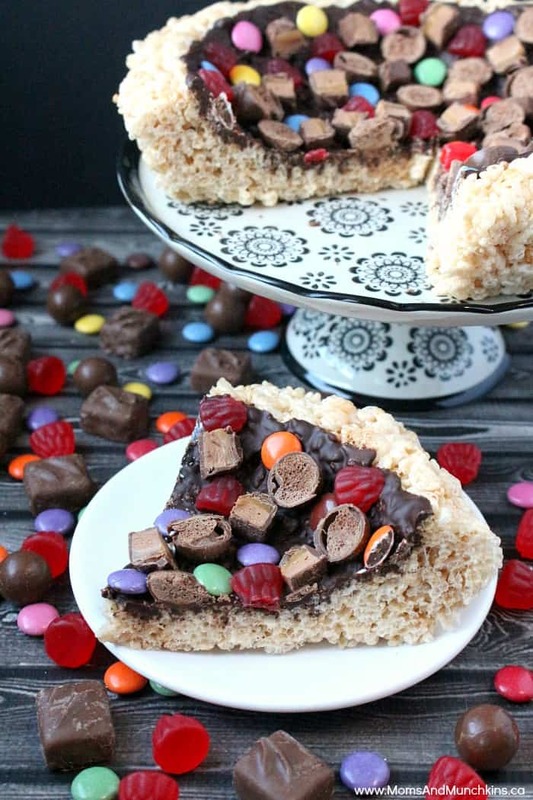 Rice Krispies Dessert Pizza – a fun party dessert idea loaded with your favorite candies. 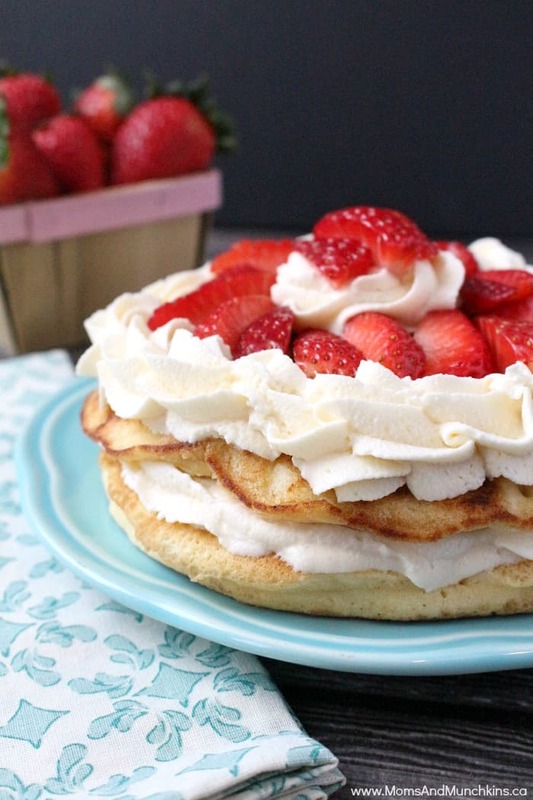 Strawberries & Cream Pancakes – the ultimate breakfast treat recipe! 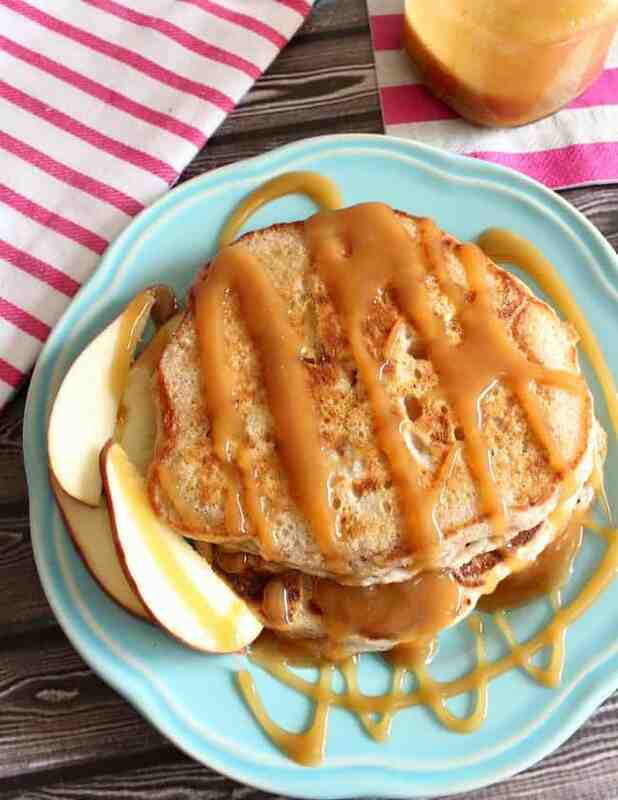 Apple Cinnamon Pancakes with Caramel Syrup – a delicious breakfast or dessert treat idea. 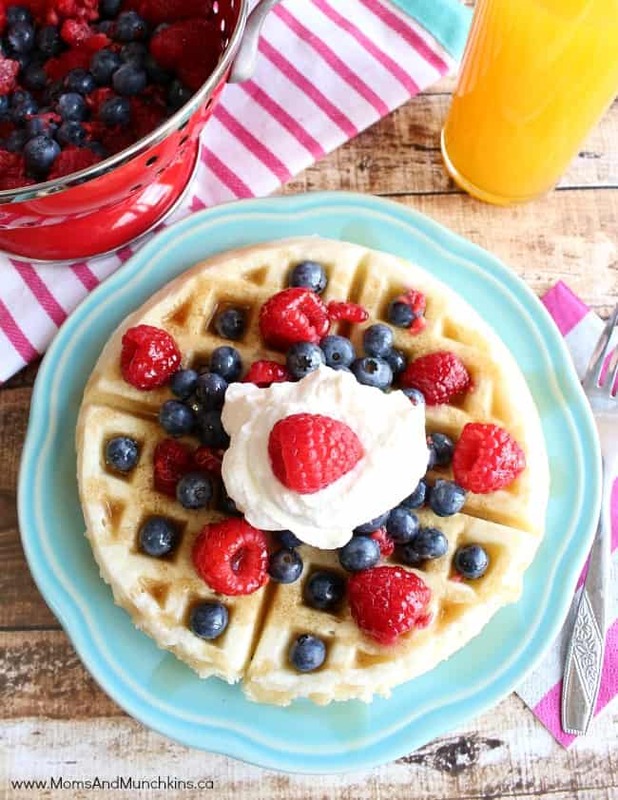 Homemade Waffles – your guests are sure to love a waffle bar with homemade waffles plus a variety of fruits, syrups and whipped cream. We’re always adding new ideas for recipes and family fun. Never miss an update by following us on Pinterest, Facebook, Twitter and Instagram. These are obviously a necessary snack for me to make for my pet unicorn. Perfect! Ha! I hope your pet unicorn enjoyed every bite!